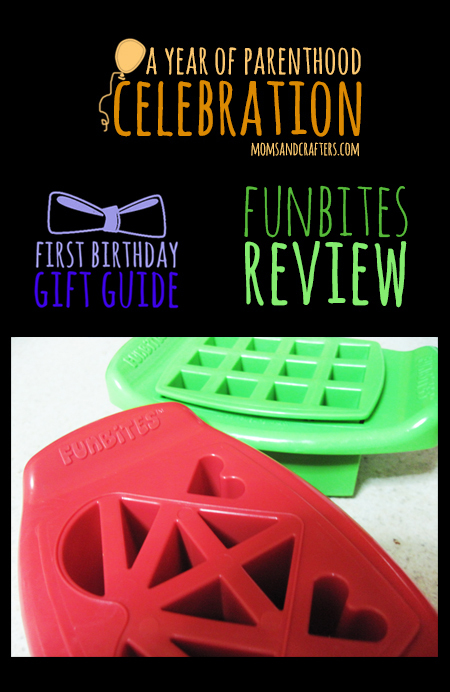 Funbites Review: Funbites are fun brightly colored plastic food cutters. 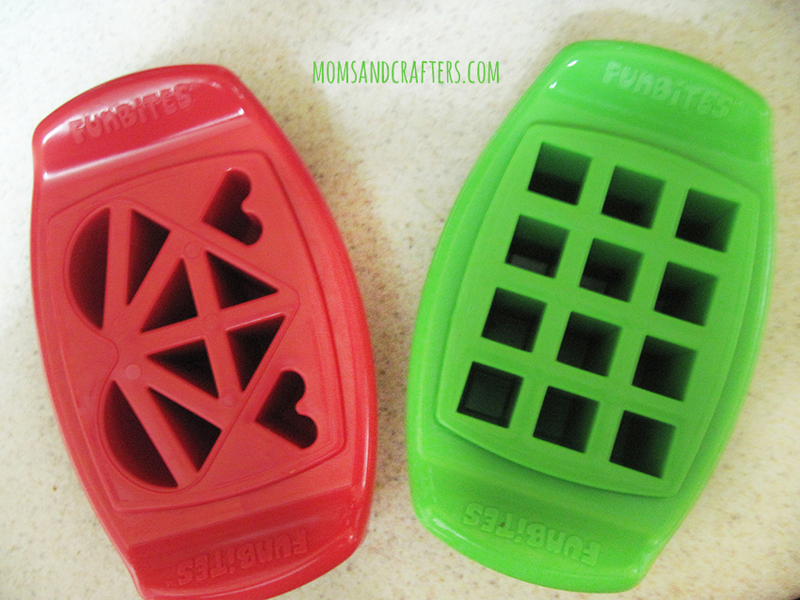 They help cut food into small pieces the fun way! 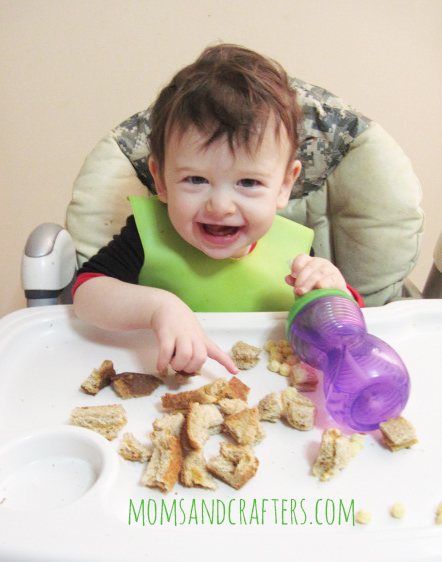 It’s great for cutting food into bite size pieces for babies and toddlers, and for making it fun to eat for older children. When I first saw the design, I thought it’s brilliant. These are sturdy pieces that fit exactly tot he shape of a sandwich. I loved the bright colors and adorable but practical designs. I tried it out on a peanut butter sandwich (and have since used it with cream cheese and hummus as well.) At first I did not realize what the two parts are, but when I did, I loved it! You press down with the main part, and then the insert pushes the little pieces out. Pick your bundle: $12.99 for one $22.00 for two, or $29 for three. I found the Funbites to be sturdy and great quality. It is made of a very thick plastic that is built to last. The awesome shapes, of course, make it fun to use. I LOVE the popper insert – it is definitely a deal maker here. I love the handles on the sides that make it easier to grip. I was sure it would be another difficult thing to clean (other than my loving husband, I don’t have a dishwasher) but it wasn’t. The large openings mean that a sponge just gets right in when wiping. The plastic does not cut through easily – I often need to push the sandwich through. I do appreciate, though, that this does make it safer to have around babies, considering the bright colors will attract them. It also takes up so much space, and in my kitchen space is a huge factor! Moms of babies and toddlers who need to cut food to bite size pieces. Final score is 5/5 stars. I’ve been using this regularly and enjoying it. I can’t think of anything the company would need to do to improve on it, without taking away from another benefit. We have Funbites and love it! We’ve used it for everything from sandwiches to cheese to even green pepper. It got my little sister to try some things she wouldn’t usually and let me get creative making shapes for my son. So much fun! Great review! 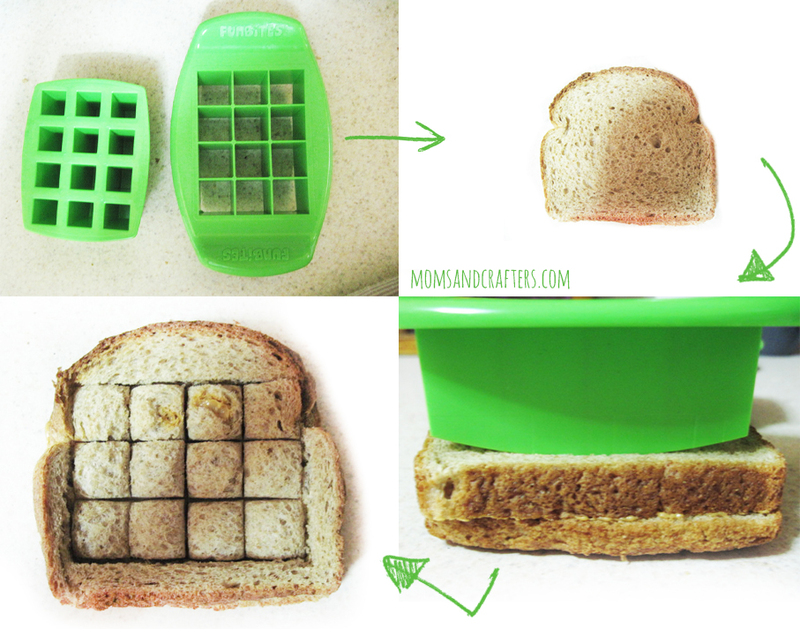 I love that it cuts it into small pieces quickly and easily! These do look pretty neat. My kids would like having fun shaped food, but I also have to consider the space factor. Where would I store these?